Help us inspire children through STEM and aviation-focused outreach events hosted around the world. Your support will help extend Dreams Soar's outreach to children around the world. "I started Dreams Soar to share my story with women around the world, to let them know it is possible to achieve your dreams, regardless of the challenges and traditions you may face." Dreams Soar's mission is to inspire the next generation to pursue STEM education and and aviation careers. Since the completion of the Global Flight for STEM on October 4, 2017, Dreams Soar has elevated its mission around the globe. Organizations from around the world have collaborated with us to impact the youth of all ages, from varying cultures and from different socio-economic backgrounds by introducing them to STEM and aviation education. Shaesta Waiz is not only a record setter, but an inspirational icon. 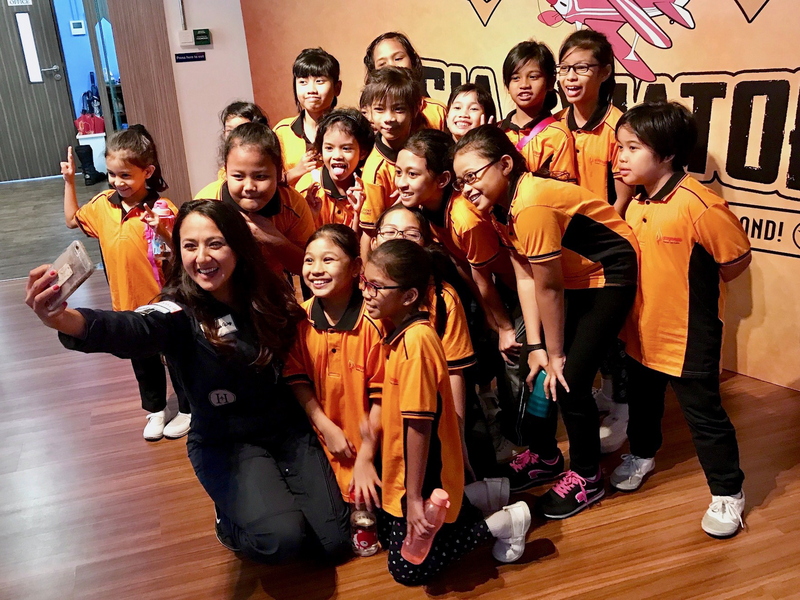 During her global flight, she visited 22 countries to meet young girls and boys and inspire them to pursue STEM and aviation careers. 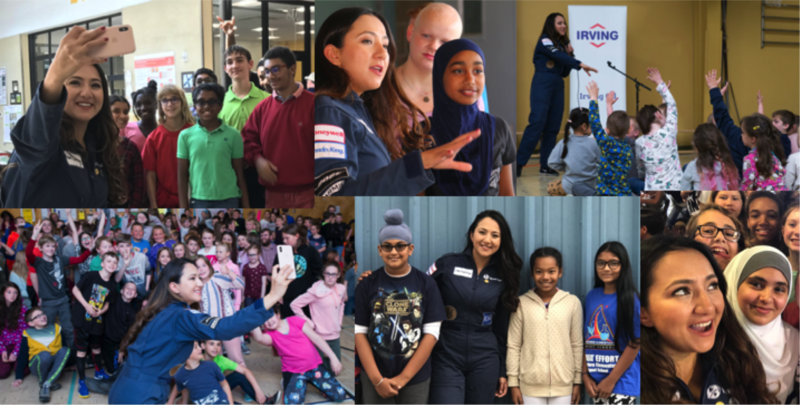 In 2017, Dreams Soar launched a global flight around the world to introduce Science, Technology, Engineering and Math (STEM) education and Aviation careers to young girls and boys. The flight was piloted by Dreams Soar's Founder and President, Shaesta Waiz, the youngest woman in history to fly solo around the world in a single engine aircraft. Waiz flew a single-engine Beechcraft Bonanza A36, 'Dream Catcher' specially-equipped for the solo global flight journey. With support of the Dreams Soar team on the ground, and with sponsorship from many individual and corporate donors, Shaesta flew over 24,000 nautical miles across five continents, making 30 stops and visiting 22 countries, inspiring over 3,000 youth through outreach events worldwide. The 2017 Global Flight for STEM was just the beginning of Dreams Soar's mission to inspire the next generation, especially young children in underprivileged regions. Find out more about the flight and the history and mission of Dreams Soar. COMPANY MATCHING GIFT: Your company may match your gift 1:1, 2:1, or 3:1. This is an opportunity to double or even triple your charitable contribution to Dreams Soar! Once you make your gift, let your Human Resources office know. They will direct you to complete a form, confirming your gift and their match will come directly to Dreams Soar. From Horsefly Group, we're almost all female, and half are data experts (for digital marketing), and we're into aviation. Shaesta's work is important! Please keep up the great work ! Wishing the best to DSI and future scholarships for young ladies around the world. I believe in Shaesta and in her goal of inspiring young girls to believe in themselves and follow their dreams! Thank you Jill Meyers for your uplifting presentation today at our Kings Highway DFPA meeting. Much success to your group! In honor of Michael Friese Birthday. Because everything is possible, especially for Women!